Rob attended the University of Illinois for undergraduate school majoring in computer engineering and actuarial science. 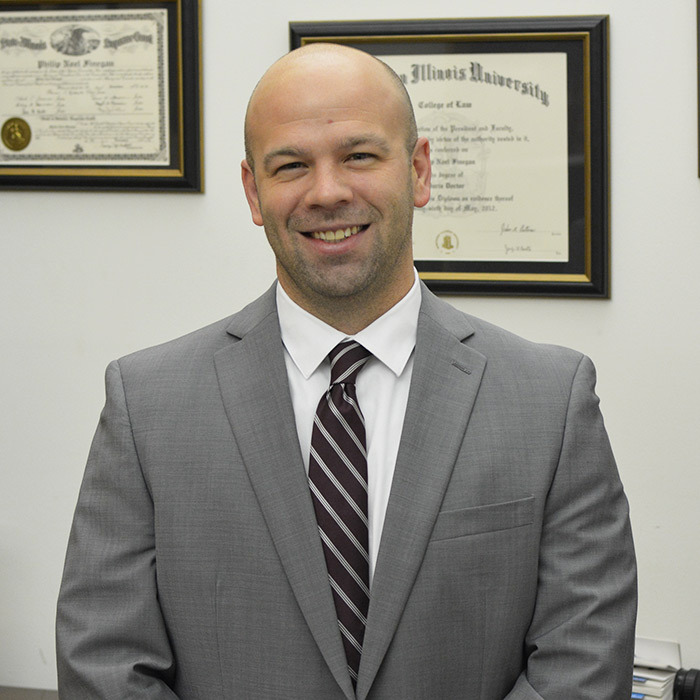 After working in California for seven years, Rob moved back to Illinois to attend Northern Illinois University School of Law. He was a DUI/DWI and traffic attorney for the McLean County State’s Attorney’s office before leaving the office to practice with his father Jim Finegan and brother Phil Finegan in their Bloomington, Illinois office. Rob will be working closing with his father on bankruptcy cases along with handling DUIs/DWIs, traffic and speeding tickets, real estate matters and other civil cases. Call and schedule a free consultation to discuss your case. Call Rob today at 309-827-0388 or email rob@fineganrinker.com.